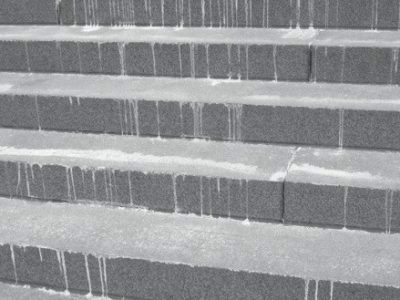 Icy steps For icy door steps in freezing temperatures: get warm water and put Dqawn dishwashing liquid in it. Pour it all over the steps. They won’t refreeze. Blood stains on clothes Pour a little hydrogen peroxide on a cloth and wipe … Please register for a free account or log in below to access this content. Spring is the time of year that we normally think of when it comes to seasonal allergies. As the trees start to bloom and the pollen gets airborne, allergy sufferers begin their annual ritual of sniffling and sneezing. Each year, 35 million American… Please register for a free account or log in below to access this content. Minnesota law allows you to inform others of your health care wishes. You have the right to state your wishes or appoint an agent in writing so that others will know what you want if you can’t tell them because of illness or injury. The inform… Please register for a free account or log in below to access this content. You know that fruits and vegetables are supposed to be a regular part of your diet – and we don’t just mean slathering ketchup on that half-pound burger. The U.S. Centers for Disease Control and Prevention is promoting its “Fruits… Please register for a free account or log in below to access this content. Feeling Nauseous? Use acupressure (before you get to the point of vomiting): Apply pressure to the webbing between your thumb and index finger on either hand. Use firm, deep pressure and a rapid massaging movement for several minutes. Us… Please register for a free account or log in below to access this content. American Actor, screen writer, director, and film producer Christopher Reeve is likely most famous for his role as Superman in the movie series by the same title. While entertainment is a great contribution, giving people a diversion from the… Please register for a free account or log in below to access this content. Tea – it’s not just for casual sipping any more. Those who enjoy a good cup of tea may also be reaping some health benefits, according to ongoing research about tea varieties. Barb White, owner and operator of Bonsai Tea in Eveleth, s… Please register for a free account or log in below to access this content. Just out of curiosity, did you end 2009 or begin 2010 with a determination to improve your health and strength? Have you started yet? Remember, you are in charge. It’s something nobody else can do for you. Exercise makes you happier You know … Please register for a free account or log in below to access this content.